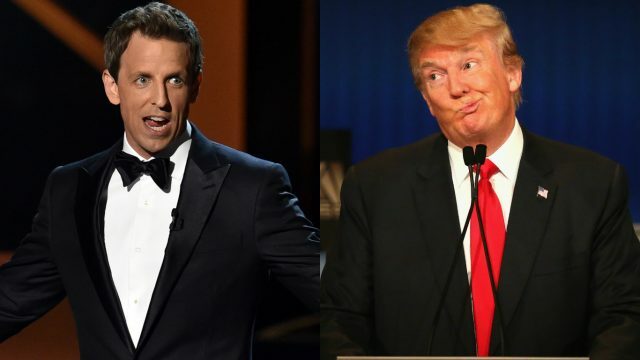 Donald Trump called out Seth Meyers after the late night host banned him from his show. After the presumptive Republican nominee revoked press credentials for the Washington Post, the 42-year-old host of “Late Night with Seth Meyers” said he was banning Trump from his show in a move of solidarity for the publication. “We here at ‘Late Night’ believe in freedom of the press so therefore have decided to stand in solidarity with them,” Meyers said this week. Meyers reaffirmed his ban Wednesday night.